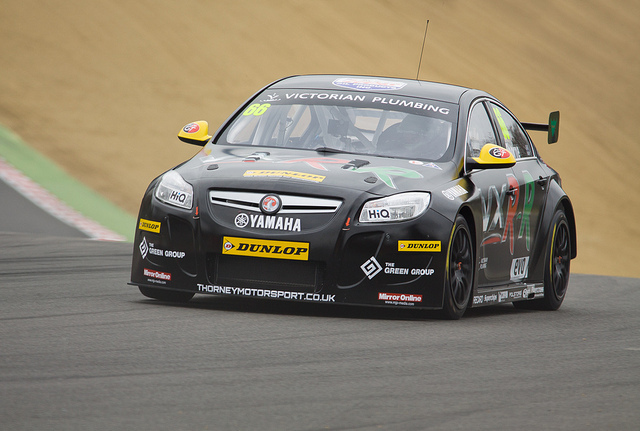 Thorney Motorsport will not be entering their Insignia VXR-R for the Thruxton round of the Dunlop MSA British Touring Car Championship in order that further development can be undertaken on the car before next competing. The car currently has two main areas for concern for the team, firstly to address the lack of rear end grip which caused a spin even behind the safety car at Brands Hatch but also a constant miss fire that Swindon Engines, the teams engine supplier appear completely unable to cure. The team plan to miss the Thruxton round and spend the next few weeks getting test miles on the car to solve the handling issues and decide whether to continue with Swindon or develop their own mapping for the TOCA control engine. Part of this process will include some other drivers in the car to widen the available data and feedback. The team are now planning a series of tests to develop the car and hope to be out racing again from Oulton Park with either Thorne or second driver Rob Hedley at the wheel.